How is kidney cancer diagnosed and what are its treatment options? The Urology Centre at Singapore General Hospital explains. includes Ultrasound, CT scans, kidney biopsy and cytoscopy. 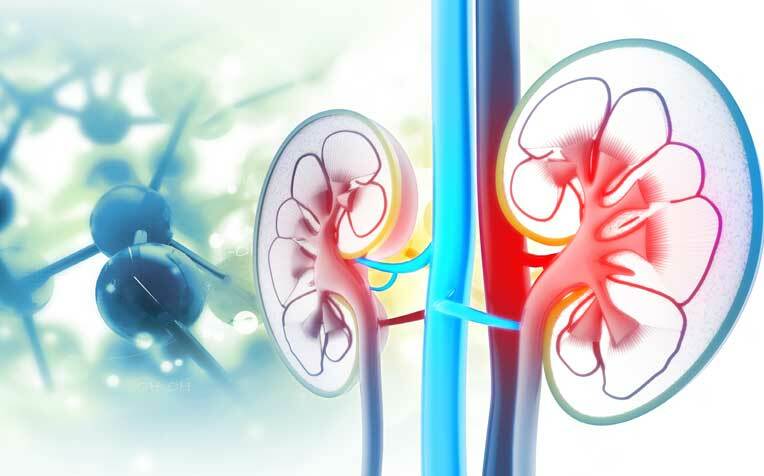 Doctors from the Urology Centre at Singapore General Hospital, a member of the SingHealth group, explains the diagnosis of kidney cancer and how it can be treated. Ultrasound or Computed Tomography (CT) scan. Detailed images are taken of the kidney to show the size, characteristics and extent of spread of the kidney tumour. Kidney biopsy. Samples of kidney tumour tissue are removed and examined under the microscope to confirm the presence of cancer. Cystoscopy. A small tube, a cystoscope, is passed through the opening of the urethra. It contains a lens and light system that helps the doctor see the inside of the urethra, prostate and the bladder to identify any additional tumours in those who have blood in the urine and a kidney tumour. Radical nephrectomy where the whole kidney, including the tumour, is removed. Partial nephrectomy is performed when the tumour is small or if the person has a single kidney left or has impaired kidney function. Radical nephrectomy is performed when the tumour is large and very close to the blood vessels or ureter. Kidney surgery may be performed using the conventional open, laparoscopic or robot-assisted techniques, depending on the kidney tumour characteristics and patient suitability. This is a minimally-invasive ablative procedure that uses thermal energy to destroy tumour cells. Selected patients with a very small kidney tumour may be monitored closely with kidney scans to assess the growth rate or changes in the tumour appearance. Radiofrequency ablation and active surveillance are more suited for elderly patients with multiple medical problems, who are not fit for surgery. As only one good kidney is needed to lead a normal life, most people with one kidney removed do not end up with kidney failure requiring dialysis. Your treating doctor will counsel you on the risks of impaired kidney function after surgery which depends on the presence of factors such as diabetes, high blood pressure and advanced age. For selected patients who present late with kidney cancer that has spread to other parts of the body, surgery to remove the kidney in combination with systemic therapy has shown to be effective treatment even in advanced kidney cancer. Immunotherapy. Uses drugs that incite the body’s immune response towards the cancerIf you are not fit for surgery, immunotherapy or targeted therapy may be given to control the disease with or without surgery later, depending on your response to treatment. It is reassuring to note that there are still very effective treatments for patients presenting late with an advanced stage of kidney cancer. See previous page for the causes and symptoms of kidney cancer. Lung Cancer: Why Asian Female Non-Smokers at Risk?